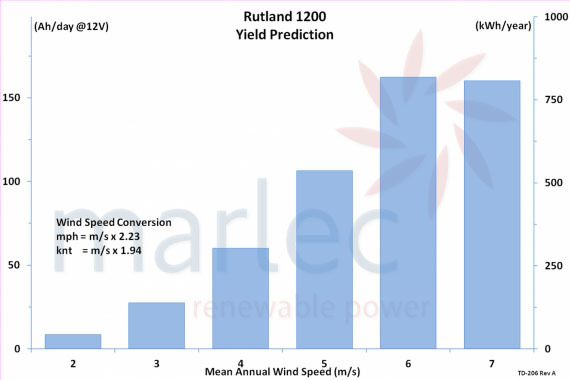 The Rutland 1200 Wind Turbine & Hybrid MPPT Charge Controller is a 500 Watt rated (12 or 24VDC) with a powerful but quiet operation of the new Tri-namic Blade that brings together low wind speed start up with high wind speed power performance and almost silent running across all wind speeds. It is the ideal companion for generating energy on a boat, RV or off grid home. What we like about this wind generator is its three phase (three wire) output which allows for lower-cost long run installations, such as those typically found on a mizzen mast. The down tower controller offers both wind generator MPPT along with solar input with MPPT reducing installation cost when used in the hybrid mode. 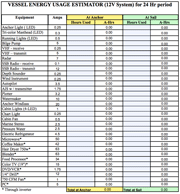 Also available to complement the wind turbine, we offer several different mast and mounting options, complete installation kits, battery monitors or any related items that may be necessary to complete your installation (see RELATED ITEMS tab above). Wire size between the wind generator and controller is critical for long term operation. 10-3 AWG wire minimum size should be used with a larger size on runs greater than 30'. Please call us for help in wire sizing if needed, we are happy to help. Yaw Rotation	 Slip ring for 360° free rotation. Low brush wear. A big thank you to eMarine and Bob Everhard for designing us the perfect power solution to our sailing needs. 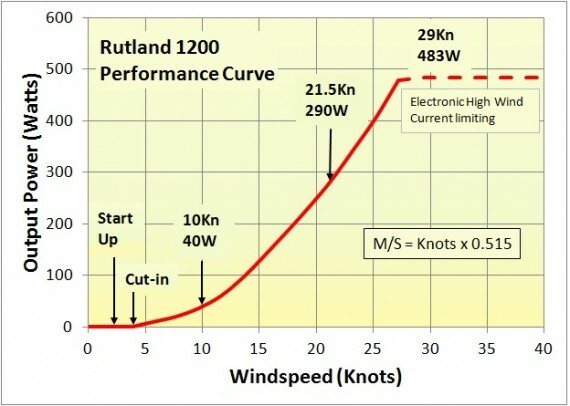 The Rutland 1200 is so quite I never know if it is running and the large LG315 Panel puts out more amps than expected. We can run everything on our Nonsuch including our large 110 volt freezer.